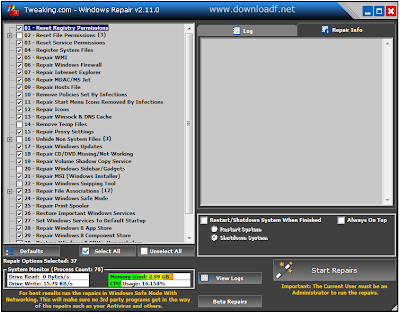 Windows Repair Tool 2019 free download, Windows Repair 2019 is an all-in-one repair tool. Install, uninstall and download files on your computer, over time, can leave your computer slow down. 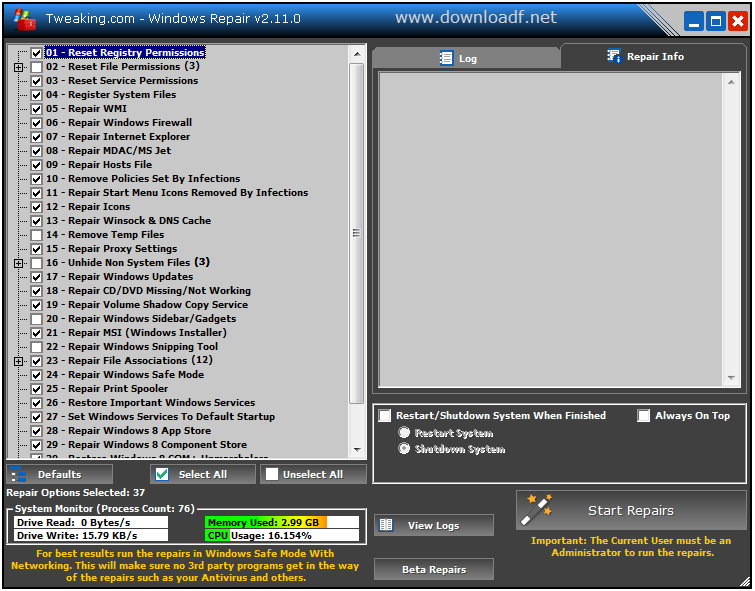 the Windows Repair can be very useful In this case. Basic Mode: only the most basic, safe repair options. Custom Mode: all repair is available.